I just want to take a minute and let you know about both Matthew & Tyler Mendez! These two amazing people have been some of the best people we have ever worked with! They were very laid back and carefree that it actually made us a little nervous because we were given COMPLETE CREATIVE CONTROL! sounds like a dream right? So fast forward to their wedding day and we go straight to work, The venue is amazing and all the staff and vendors there were great to work with and helped make this day come together with ease.. At the end of night, we walked away with laughs, love, and a few tears that we were already done. Behind the desk, i was more than excited to begin editing their photos & video that i lost track of time and just fell deep into the story. The kind of story that makes you leave the world your in and dwell into a reality of your own. This wasn't just your average wedding. 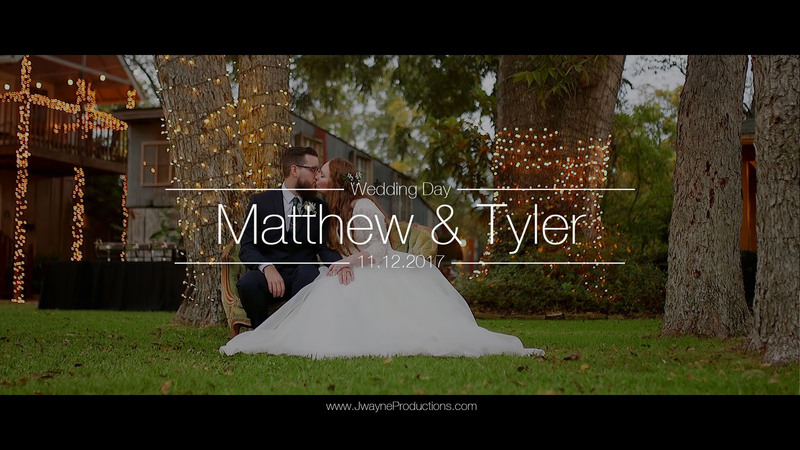 This was only a couple who comes along once every few years, and from all of us at Jwayne Productions, we will cherish this day just as much as the two of you! Congratulations once more Tyler & Matthew Mendez!